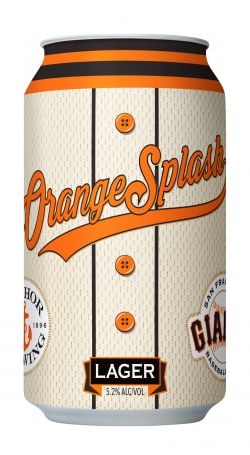 SAN FRANCISCO, Calif.—Anchor Brewing Company and the San Francisco Giants announce the limited edition collaboration brew, Orange Splash Lager™ (5.2% ABV), now available in cans. Baseball and San Francisco have gone hand in hand for more than 100 years. With roots that date back to the California Gold Rush, Anchor has been intrinsically tied to the city and has been enjoyed by Giants fans for decades. 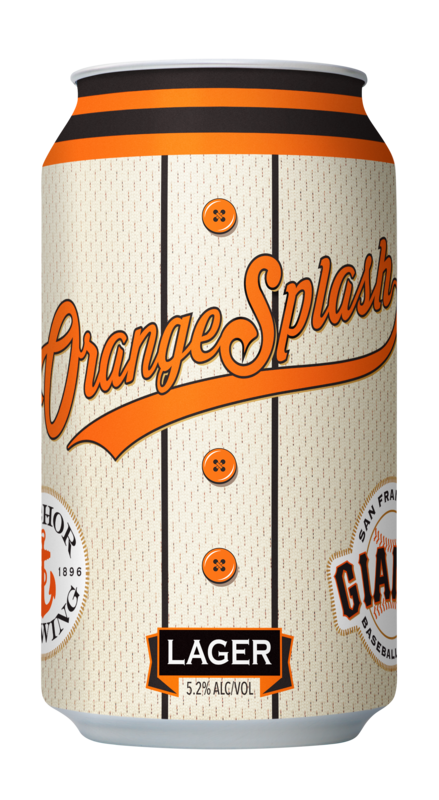 In celebration of a longstanding partnership, Anchor Brewing and the San Francisco Giants are proud to release the first ever Major League Baseball and craft beer collaboration; Orange Splash Lager. First released in the fall of 2015 exclusively on draught, Orange Splash Lager returns by popular demand, on draught and now in cans. A crisp and refreshing beer, Orange Splash Lager boasts a bright, copper orange color, enticing zesty aroma, and a slightly tart citrusy flavor with lingering bitterness from the hops. The beer arrives in select markets just in time for the 2016 Major League Baseball season. Fans can find Orange Splash Lager in cans and on draught at select bars, restaurants, and stores in Northern California, Nevada, and Hawaii, as well as at the Anchor Brewing Taproom and Anchor Brewing Beer Garden at The Yard in San Francisco. Find Giants Orange Splash Lager using the Anchor Beer Finder.